Bajaj's RE60 gets a green signal but you cannot buy it. Check it out why ! 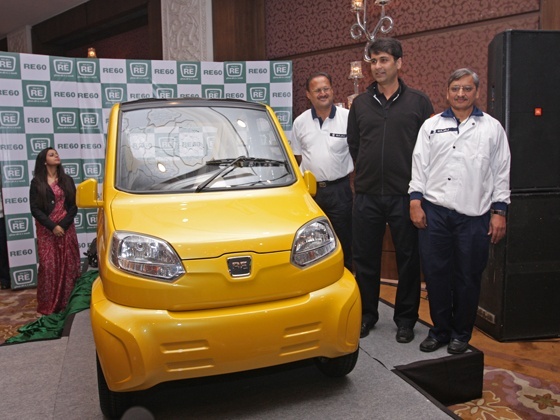 Bajaj's RE60 to be considered as a Quadricycle gets a green signal in India, two days back when a meeting under the chairmanship of Road Secretary Vijay Chhibber approved the use of such vehicles on roads. However, you cannot but this vehicle and there is a catch - The Bajaj's RE60 cannot be purchased as a personal vehicle. When can you buy a Quadricycle ? A Quadricycle has been approved as a vehicle to run on Indian roads however it can only be used as a commercial vehicle and not as a personal vehicle. The driver of the vehicle and a purchaser, needs to have a valid commercial vehcile licence to buy it. Also, the vehicle needs to have "Q" mentioned on the rear of the vehicle in order to differentiate from regular passenger vehicles plying on roads. Tata Motors and Maruti Suzuki were the biggest opposers for the policy of Quadricycles to be implemented in India and hence the committe has cleared with their statement that they would not affect the domestic passenger vehicle - small car market in India. Since Tata Nano and Maruti Suzuki Alto have been fitted with a bigger engine and have a more safer body as they ply to safety standards of being a car in India, Bajaj's RE60 will be given some leniency in safety standards. Bajaj's RE60 will use Pulsar's 200cc engine with a power output of 20bhp and a top speed of 70 Kmph, thanks to the added weight of four wheels, additional seats and a roof. So, in case you want to upgrade from current two wheeler to cheapest car - Tata Nano still remains the only option for you. Quadricycle however could replace the existing three wheelers in India and again could benefit Bajaj Auto. Bajaj, though already is a market leader in three wheeler segment but has 40% market share. It would benefit out of rest 60% market share. As of now, there is no competition to RE60 - with Bajaj being the only player in India. The question still remains - will RE60 completely replace three wheelers ? The price during the launch could itself answer this question. Stay tuned !